The complete F-500 – Fats, Oils and Grease Management policy is available on our HWU Policy and Procedure Manual page. Many of the problems caused by FOG in the sewer system originate from fats, oils and grease that are poured down drains in homes. Although the wastewater collection system is owned, managed and maintained by HWU, the entire community of Henderson benefits from it being used responsibly. Through education and by adopting certain habits, it is easy to minimize FOG sources at home. … I use the garbage disposal. MYTH! 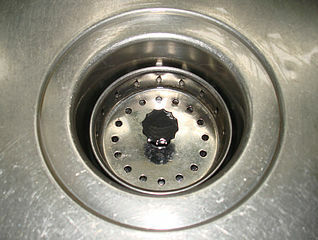 The garbage disposal only grinds up items before passing them into your sewer pipes. … I run hot water. MYTH! Hot water only gives the illusion of dissolving grease. The grease will eventually cool and build up in the pipes. … I chase it down with a dose of dish soap. MYTH! Dish soap temporarily breaks up grease as you wash your dishes, but the soap will eventually lose its effectiveness causing the grease to solidify in the pipes. … it is a liquid oil at room temperature. MYTH! Liquid cooking oils, like canola oil and olive oil, float on wastewater and easily adhere to sewer pipes. If grease builds up in the drains inside your home, you may need to contact a plumber to unclog the lines. That could turn out to be an expensive proposition. If the grease escapes to the downstream parts of Henderson’s sewer system, blockages might occur that will cause problems for everyone in your neighborhood. Place cooled oil and grease into trash bins or covered collection containers. Be aware of the “hidden oils” such as salad dressings, cheese, cookies, pastries, sauces and gravies. Scrape food scraps from dishes into trash bins. Manually wipe off all visible fats, oils, grease and food residue from dishes and cookware into trash bins. Clean up grease spills with absorbent material and place into trash bins. Encourage neighbors to help keep fats, oils and grease out of the sewer system. Don’t pour oil or grease down the drain. Don’t scrape food scraps down the drain. Don’t pour liquid foods (syrups, batters, gravy, etc.) down the drain. Don’t run hot water over greasy dishes, pans or fryers – it will not prevent FOG from sticking to the inside of the pipes. 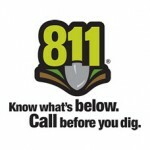 Don’t use chemicals to remove grease clogs; they can damage the piping system. Don’t rely on a garbage disposal to get rid of grease.